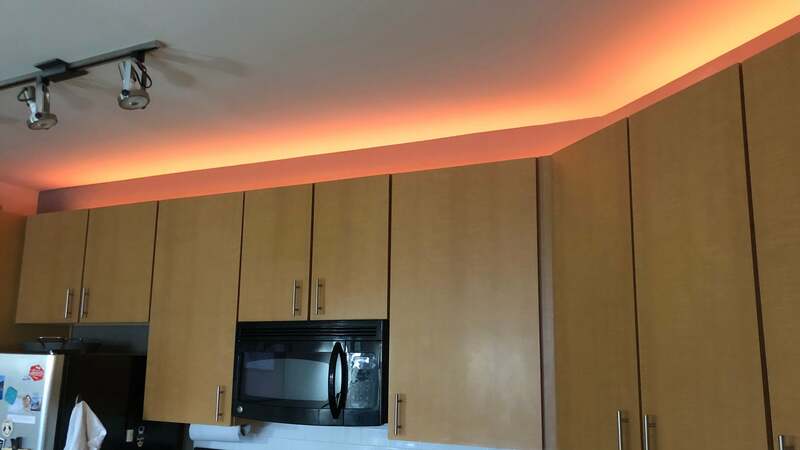 LED strip lights can add a ton of personality to seemingly boring spaces, and you can save on two different lengths today. 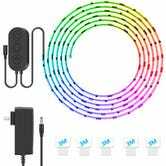 In addition to a variety of colors and brightness levels, these Minger strips include app control and a built-in microphone that allows the lights to pulse and change according to ambient noise, which makes for a pretty great party trick. I actually installed a similar strip—without the app support—above my kitchen cabinets (pictured here), and usually just leave it set to one color, but the effect is fantastic.